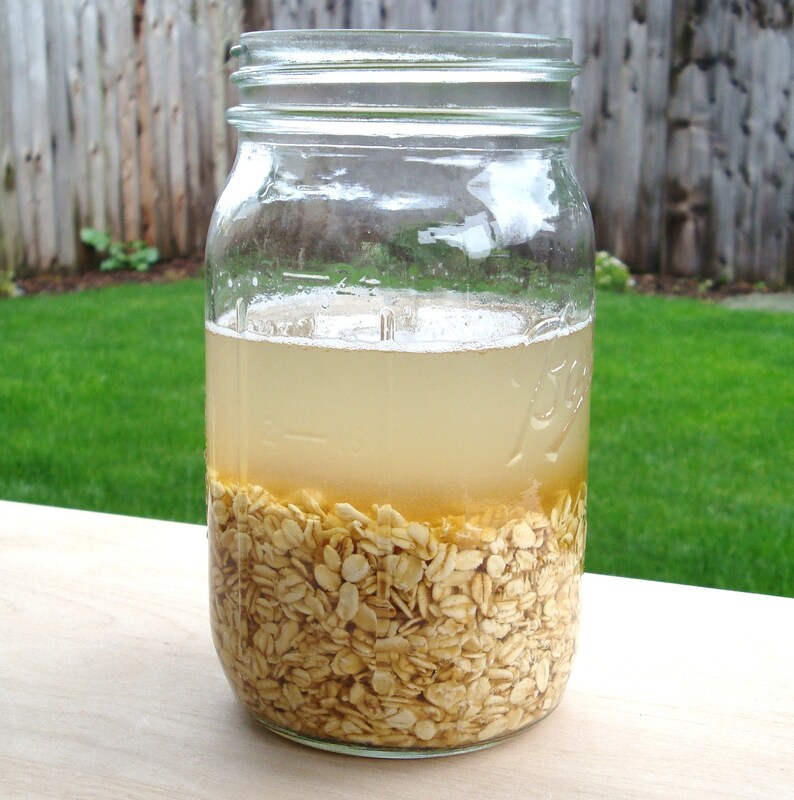 Oatmeal & Brown Sugar Booze – why oatmeal is not just for breakfast anymore! I was inspired by an Oat and Honey Vodka recipe from Chow, which lists that it is adapted from Blue Hill at Stone Barns. I have trouble following directions, so I didn’t follow the recipe. I really love brown sugar in my oatmeal, so we adapted it accordingly. It was hard to keep myself from putting dried cranberries and walnuts in there, but we wanted to be able to try this on its own first. We infused this for about 9 days, then strained and filtered well. We did not refrigerate as the Chow recipe indicates. With the portions of ingredients we used, it was not necessary. The oatmeal gives it a creamy flavor, and it is delicious! We have not tried it in cocktails yet, but this recipe from Chow says to add half-and-half for a Quaker Shaker. Maybe the true inspiration for this is my college reunion (which I am not attending)… our mascot was the Quaker. Here’s a toast to dear old Penn! Give this one a try. You won’t regret it. Categories: Infusion, Liqueur, Recipes | Tags: brandy, brown sugar, Liqueur, oatmeal, recipe, vodka | Permalink. Going to try this for sure. What an interesting liqueur! I can’t wait to try that one myself! Thanks Tam – let us know what you think if you try it! I think brandy and rum would be great in this! By the way my boyfriend did mention that next time infusing just the oats and alcohol may work better than infusing the sugar in there too…you can then make cocktails with the oat infusion and add a brown sugar syrup to your drinks to taste…we’re gonna try this at home though, I love this Post. Really great job its given us some great inspiration and ideas!!! Thanks! Glad to give you some ideas… Yes, it would be interesting to try without the sugar. I love it! Yes, but the champions of what? I finally infused this a full 10-days and used it as the base for a White Russian, I used vanilla almond milk instead of milk or cream. Then, I had it in a Black Russian (because I’m not racist). It’s funny that Smedette mentioned “Breakfast of champions,” because I saved the oats and then ate them for breakfast two mornings later to help alleviate a hangover. Genius! I used oats to make Chocolate Stout Bitters — it creates a nice smooth mouthfeel. This sounds great — will have to try! A little follow up, the jury is in on this. BIG HIT at my July 4th cook out. Jim, that’s awesome! How did you serve it? I mixed some with heavy cream recently (healthy, right…) and it was spectacular. In the passed, I used it as the vodka in my White Russians. This night, however, we just chilled and sipped it straight. I made this and had it sitting for a long time, I actually forgot about it. When we took it out we added some cinnamon. I don’t know what possessed us to mix it with a little cranberry juice, BUT it turned into the most amazing apple-ly drink ever! I have no idea where the apple came from, but it was so delicious we have more jars brewing! Seeing how I make rum raisin oatmeal cookies, why not try this mix with rum. I’m working on a batch with Kraken rum. I went back to the original recipe with honey (just bought some from the farmers market) and I added cinnamon. Couldn’t resist adding an early sample to my coffee :p , so far so good.